The Best Photo Printers for Long Lasting Images | TonerGreen - Eco-Friendly Toners from the U.S.
Photo printing has become on of the greatest innovations of the printing industry which is why some printer users feel the need to own a specific photo printer. If you are one of those who want to get a photo printer specifically for your image printing, you might want to take note of the best models that can produce long lasting images. Here are some examples which can range from affordable to high-end printers. One of the best photo printers is the HP Photosmart ProB8850, which can create great photos in different sizes. It can even produce a picture with the size of up to 13 inches by 44 inches. Just be sure that you are using the right HP toners or HP ink cartridges to have the best quality. Another great printer is the Epson Picturemate Charm PM 225 which is a compact photo printer that has prints high resolution images of up to 5000 by 1400 dpi. If you use remanufactured Epson inkjet cartridges, you can save on the printing costs while still getting high quality prints. The last example is the Canon Pixma Mini320 printer which is really small yet can create unbelievable photos. It can even print borderless images which is perfect for those who wish to experiment with their pictures. Be sure to use Canon printer inks too so that you won't miss out on the right printer supplies and can continue having great printouts. 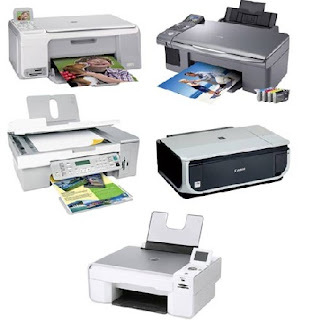 There are still other photo printers that might suit your preference, but it would be good to look at those mentioned here since these have been the top choice of many printer users.